Bond45 feels like part of old New York, because it is. The building is a theater district landmark. The Ziegfeld Follies began on their roof, back when the building was the Hammerstein Theater. 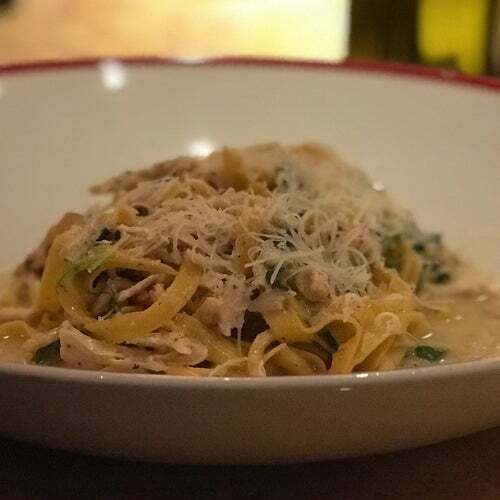 Bond45 serves up a genuine Italian experience including real American 'firsts'.